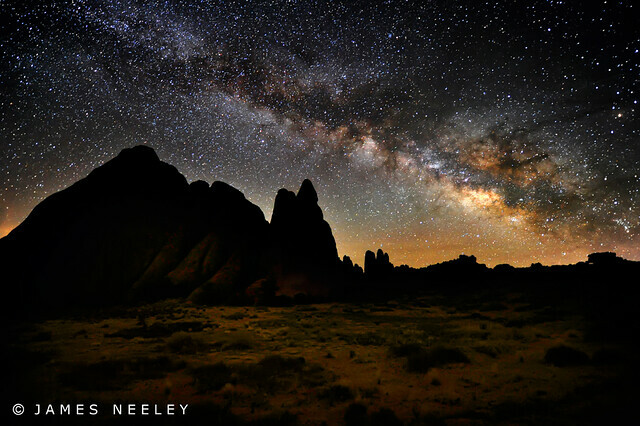 A couple of Milky Way shots from my early morning jaunt in Arches National Park. Nothing like a star shot to put one in his place. I am in awe and truly humbled when I consider the hundred billion or so stars in just our galaxy and that there are billions and billions of additional galaxies out there! But then I have similar feelings of humility, wonder, and awe when I view a beautiful sunset, amazing geography, or even a flower. 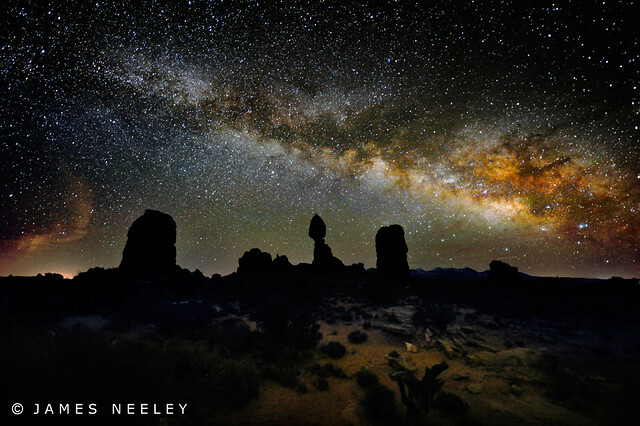 We truly live in a wonderful world, a wonderful universe! The first image was shot at 6400 ISO, f2.8, for 30 sec. The second uses similar technique except that it was shot at 12800 ISO. 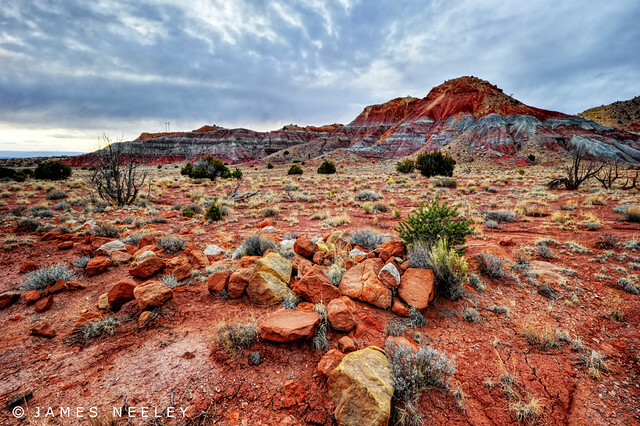 Processing consisted only of increasing the contrast of the sky (which also darkens the sky and intensifies the color) and increasing the brightness of the foreground just a bit. On the last shoot of the Natural Eye workshop we went to Red Rocks, a chance to consolidate and use many of the things we learned, a chance for me to "come home" to the landscape shooting I am used to but with new found awareness, gentleness, and sensitivity so well expressed by Eddie Soloway's teaching.